Today we had a surprise visit from an up and coming singer from Cavan - Aine Cahill! 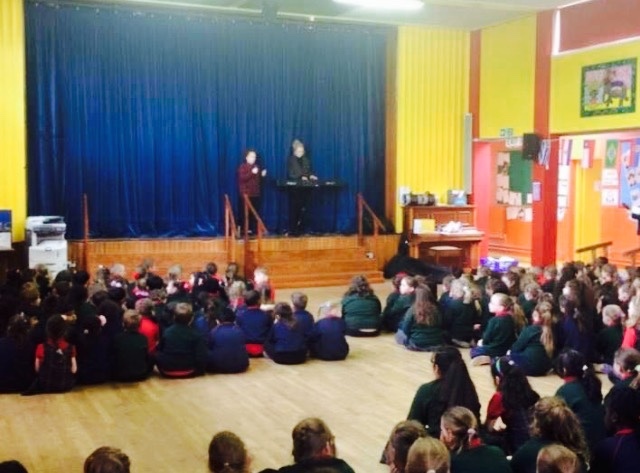 Her pianist, Louise, is a past pupil of our very own school and they both have appeared on radio stations like Today FM and television programmes like The Late Late Show! We were treated to a few of her songs and were all stunned by her beautiful voice. Thanks for visiting Aine and Louise!